It's a boardbag!!! (In case that means nothing to you, it is a bag made to carry surfboards to prevent damage and wax melting everywhere!) 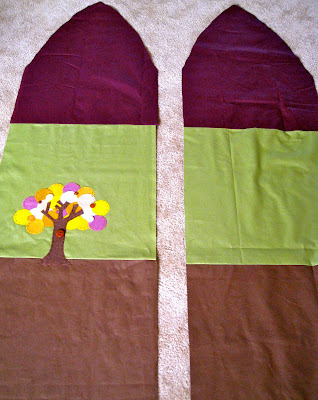 I started out by creating two separate panels, each with a maroon, a pea green (my fav color) and a brown section made of heavy-duty cotton duck. 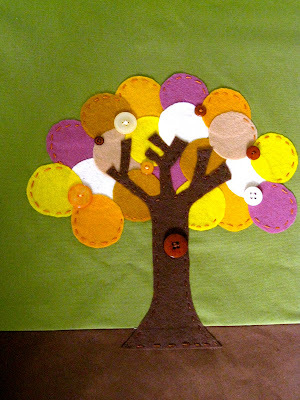 Then on the green panel I added a felt tree, first attaching with a iron on adhesive called HeatnBond. 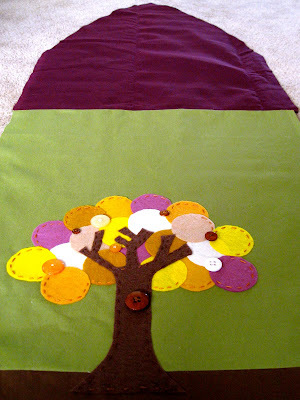 Then I went back and hand embroidered the outside edge of the tree with embroidery floss and added a few buttons. Later this week I hope to get a chance to join the two panels, making the bag, and then I will add a drawstring to the bottom to finish! I just LOVE trees, don't you?!? AHH! 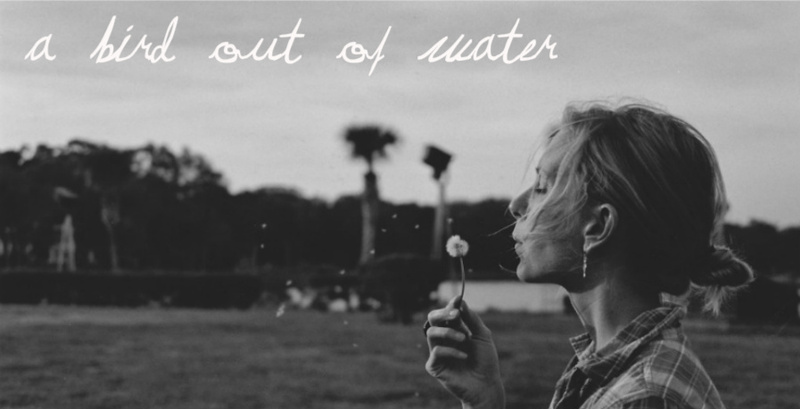 So many exciting things, between Indie Biz class, projects, blogging! So much Fun! Keep your eyes peeled for my first DIY coming soon! Love the tree! Beautiful stitching! oh, i am a big fan of pea green + trees as well! this project is sweet and lovely. oh wow! I love it! What a huge project to undertake but you are doing an amazing job! Congrats on the custom domain. I just took the plunge myself earlier today. I love your board cover. At first I thought it was wall art!